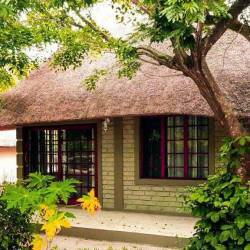 Dolphin Treasure House is a luxury 10 sleeper house in Ponta Malongane. The house has a private pool and is situated approximately 50m from the beach. Dolphin Treasure House is situated approximately 1.8km north of Ponta Malongane in the Tierras del Mar Estate. This beautiful two level home comprises 4 en-suite bedrooms on the top level, all with seaviews. Upstairs also consists of a spacious open plan kitchen, dining area and lounge which opens onto a viewing deck with endless ocean views. The downstairs level has one bedroom with two three-quarter beds, a kitchenette, and a cosy lounge area with a sleeper couch. The downstairs level opens onto the patio with a small heated pool and an electric braai. 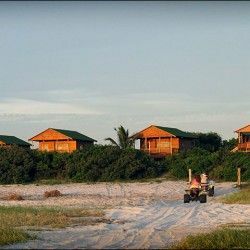 For the 4X4 enthusiast this is the ideal destination to test his/her 4X4 skills or if you prefer to leave your vehicle at the Kosi Bay border in South Africa, border transfers to Tierras del Mar can be arranged.